Gogo, which provides in-flight connectivity solutions for more than 2,000 commercial aircraft, began working with leading survey technology provider Qualtrics a little over a year ago to create a better customer experience and offer airlines real-time customer feedback from passengers using in-flight Wi-Fi. So far, the partnership has been highly effective for all parties involved, including the airlines Gogo works with such as Virgin America, American Airlines/US Airways, United, Delta, Alaska Airlines, AirTran, and Air Canada. Gogo uses several products from Qualtrics to deliver comprehensive and realistic customer feedback to airlines, including Site Intercept, Research Suite and Target Audience. Gogo receives thousands of customer surveys per day utilizing the Qualtrics survey platform, then promptly delivers part of this feedback to airline partners. 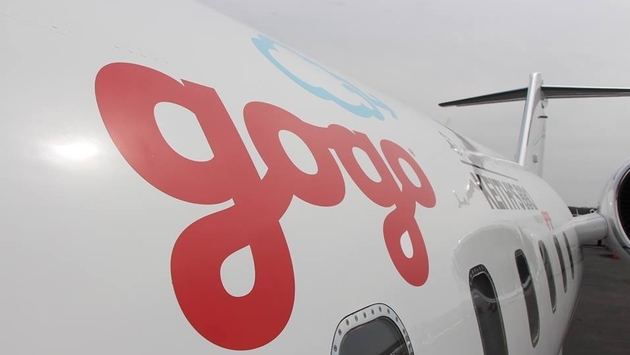 “It’s enhanced our service delivery capabilities and it’s shown pretty big cost savings, as well,” said Phil Penuela, Gogo director of consumer insights. As in cost savings of tens of thousands of dollars. And, by using Qualtrics’ products, Gogo has reduced the time required to gather insights by 25 percent. Passengers of Gogo’s airline partners who contact customer care during their flight have the option of participating in the survey. Customers who opt in for Gogo marketing will also be emailed a survey within 48 hours of their flight. The ability to survey passengers while they are still on the flight allows for a better and more realistic understanding of the customer experience. “Our philosophy is, the closer we are to the interaction, the more realistic feedback is going to be,” Penuela said. Real-time surveys can also be more revealing when comparing them to Gogo’s internal analytics. For example, if a power outage occurs mid-flight, a passenger’s overall behavior could change dramatically. That may lead them to criticize products they were using during the outage. Of course, Gogo wouldn’t know where the dissatisfaction was originally coming from without the help of analyzed in-flight feedback. In February, Qualtrics welcomed more than 1,000 global attendees to the Qualtrics Insight Summit, hosting top corporations, market research firms and academic institutions. "With Qualtrics, we created an automated customer satisfaction program that seemed almost impossible a year ago. Real-time customer insight is helping us make more data-driven decisions that directly impact customer satisfaction and loyalty." Understandably, airlines have been satisfied with the partnership between Gogo and Qualtrics, as well. “They understand there’s a growing demand for being connected,” Penuela said. As far as Gogo’s overall relationship with Qualtrics goes, it couldn’t be better. “What really gets me excited is they’re constantly innovating…and driving a better customer service,” Penuela said. For example, the feedback Gogo receives doesn’t just go to airlines; it also aids in guiding Qualtrics’ innovation process. Hearing certain things from customers may inspire another helpful product from Qualtrics, which, of course, helps partners like Gogo and partners of partners like major airlines. After all, a better understanding of customer feedback can only be a good thing for everyone involved. In a couple of weeks, Gogo will be introducing an in-house panel of customers for research through Qualtrics. The communications service provider is also developing a website for customers where they can learn about new Gogo content, check out sweepstakes and receive other valuable information. For more information, visit www.gogoair.com.